This is the seventh straight year that each of GM's four remaining U.S. brands ranked among the top five in either category. Buick and Lexus regained their familiar top rankings in J.D. Power’s latest scorecard of satisfaction with dealership service departments, helping the U.S. industry improve for a second straight year. Buick lifted its score to 860 on a 1,000-point scale in the 2017 U.S. Customer Service Index Study, released today. (See tables below.) 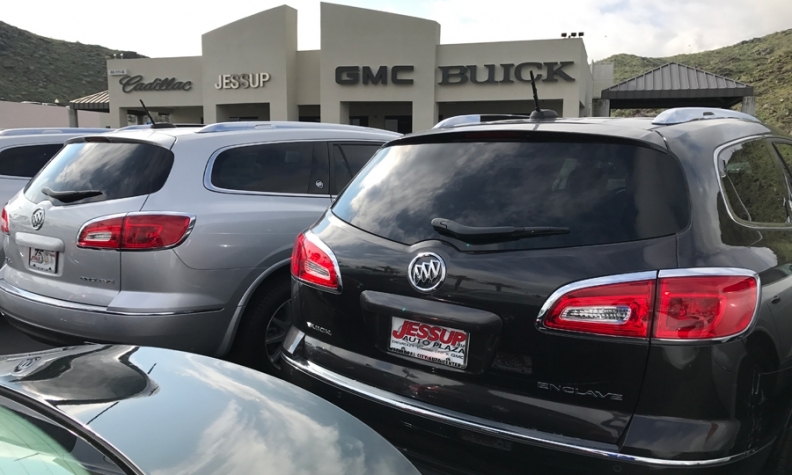 It marked Buick’s third title in four years among mass-market brands and helped keep parent General Motors a top performer in the annual study. Lexus returned to No. 1 for luxury brands after a three-year absence. Before that, Toyota’s luxury brand had a five-year win streak. Lexus’ CSI score was 874, up five points from a year earlier. The results marked the seventh time in the last eight years that the overall industry score rose, with the only drop occurring in 2015. In the latest survey, J.D. Power pointed to improvements in overall service quality and the performance of service advisers while noting that franchised dealers’ service departments far exceeded the ratings of independent service shops. Rounding out the top five luxury brands were Audi (the 2016 leader), Lincoln, Porsche and Cadillac. The industry average for luxury rose five points to 859. Following Buick in the ranking of mass-market brands were Mini (last year’s leader), GMC, Chevrolet and Nissan. The mass-market average climbed 10 points to 807. This is the seventh straight year that each of GM’s four remaining U.S. brands ranked among the top five in either category. Note: The CSI rankings are based on dealer service performance during the first three years of new-vehicle ownership, which typically represents the majority of the vehicle warranty period. Smart is not included in the ranking due to small sample size. The lowest-ranked luxury brands were Acura, Volvo and last-place Land Rover. Four Fiat Chrysler brands -- Dodge, Ram, Jeep and Fiat -- finished at the bottom of the mainstream list. There are some areas where dealers have lots of room for improvement, said Chris Sutton, vice president of J.D. Power’s U.S. automotive retail practice. Fifty-five percent of customers say they “definitely will” return for service when the dealership contacts them by phone throughout the service visit. When a customer received text message updates during the visit, the score increased to 67 percent. The problem is only a small percentage of customers receive text updates, which customers are increasingly prefer. Forty-one percent of Gen Y and Gen X customers (born in 1965-94) and 25 percent of baby boomers (1946-64) say they prefer texts. • Among the five measurements for overall satisfaction, the ratings of service advisers had the highest score, at 835 points. • As the percentage of advisers who use tablets increased to 24 percent, the percentage of customers who scheduled appointments online rose to 13 percent. • Ninety-four percent of customers said dealerships fixed their vehicle right the first time. Satisfaction scores plunged for those customers who had to try again. • Service shops could only fix a radio correctly the first time 80 percent of the time. It was unclear if that was the fault of the vehicle or the service department. The CSI study measures customer satisfaction of owners and lessees with 2012 to 2016 model-year vehicles serviced at franchised dealerships and independent service stores. J.D. Power surveyed more than 70,000 customers between October and December of 2016 for the latest study. The scores measure the quality of the service, the performance of the service adviser, service initiation, service facility and vehicle pick-up. Service quality was the most-improved category with a score of 809, up 27 points from 2015. Franchised dealerships also proved themselves against independent service shops and outranked the independents in 15 out of 16 attributes -- most noticeably, amenities offered, comfort of waiting room and cleanliness.